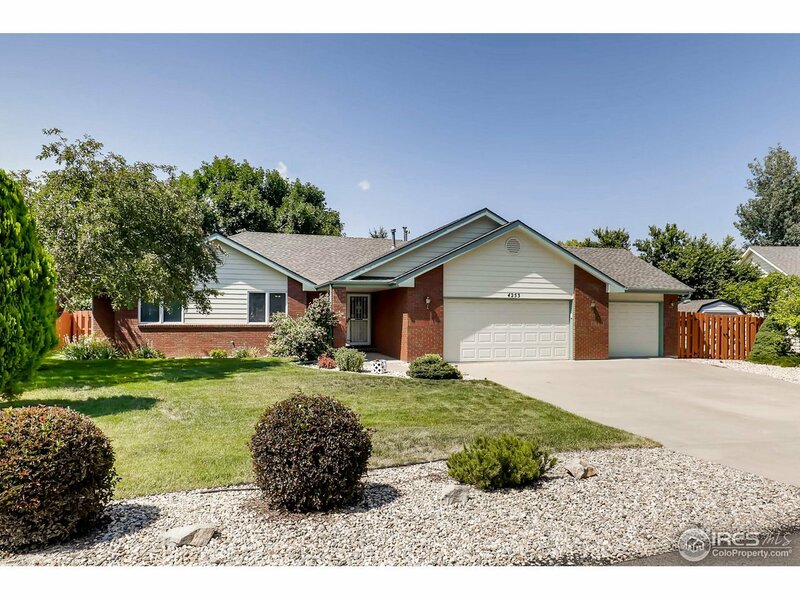 Beautiful well built ranch home in convenient southwest Loveland. 3 bedroom, 3 bath, 3 car oversized garage on a huge lot with mature trees and no back yard neighbors. Relax in the sunroom or outside in the private fully fenced back yard. Brand new roof and newer furnace. Covered front porch. Huge master bedroom with private master bath and walk in closet. Murphy bed in 3rd Bedroom included. Beautifully landscaped. Quiet and peaceful neighborhood.